Please be forewarned that this is only my honest opinion and should never be taken lightly. Yes, this is actually something against the typical budget travel guide to Palawan. If you still haven’t noticed, massive tourism is now deemed unsustainable. This type of travel lifestyle only contributes to the destruction of Palawan’s environment and cultural identities. However, most of the locals here don’t see the big picture yet, they still continue to take what they think they only deserve. There are even some tour operators that claim to be sustainable and eco-friendly, yet they are engaged in massive cheap tourism and splatter the lagoons with their big boats. I remember my trip to the Galapagos islands last year. It is a world-class tourist destination for a reason. It is a special place famous for its unique wildlife and otherworldly landscape. The stunning islands are isolated from the rest of the world. And I completely understand that the place deserves to be expensive. Nature is strictly protected and tourism is heavily controlled. A tourist cannot just stay there for more than 2 months. Foreigners cannot just work or establish businesses there that easy. The thriving economy is due to only welcoming those who have the ‘purchasing power’ or those who can afford to pay the price of nature’s beauty and local people’s salaries. I was thinking that we also have our own Galapagos here, and I believe Palawan is just as stunning. Yet when I came back to Palawan after many years, I’m quite sad that it is now becoming a cheap destination. This place should not have been for everyone anyway. Sure, I get your story, you quit your job to travel the world cheaply. I’ve been there too and that’s how I found out that I don’t like it anymore, it is just not sustainable. And there you are now, preaching that everyone should travel long-term and all the hype of travel addiction. You glorify your travel lifestyle in your blog and regularly throw ‘been to’ badges to normal beings down here. Well, congrats, you just deemed the rest of the world insignificant. It is quite hard to respect others if you don’t even have some slight self-respect. Whenever I see yet another backpacker asking for a discount around here, or worse, asking something for free, it just makes me roll my eyes aggressively. The locals here in Palawan work hard every day despite their low wages, yet they don’t complain. They don’t harass people for discounts. They don’t have the privilege to travel freely like you do yet they are truly happy just being here. And perhaps, you can take that as an inspiration for your own happiness’ sake. Cheap backpacking is the new kind of exploitation whether you like the term or not. 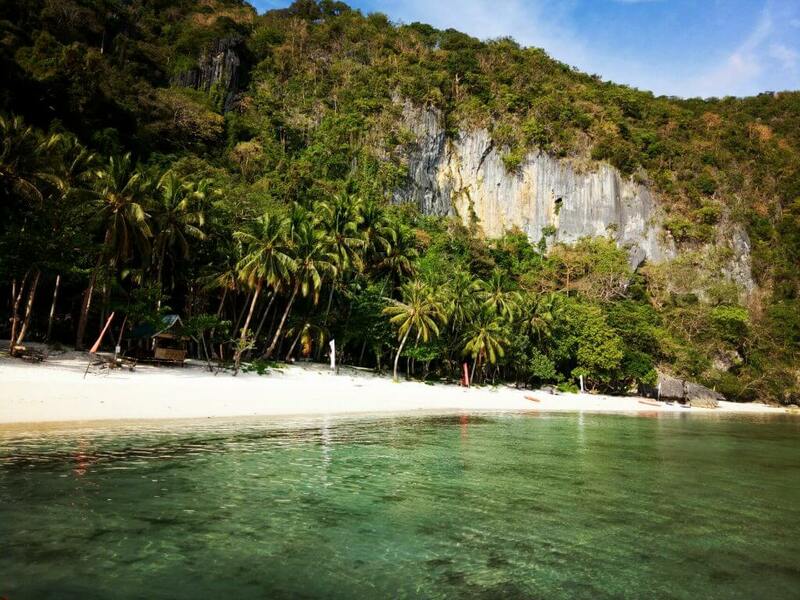 It’s time to stop washing your hands of the destruction of Palawan’s nature. Be a socially conscious traveler or don’t travel. Local businesses in Palawan just put up with your entitled attitude because they don’t have much choice. At the end of the day, who gets to hear the local people’s rants? A local too, like yours truly. They will not really tell you upfront what they think of your cheap backpacking lifestyle. It is not amazing for them that you saved your money to travel the world. Say, I ask a local in Bali or Cusco, I’m sure they will tell me the same thing about you. That you are annoying especially if you are highly demanding yet you don’t have the money to properly pay for the products and services. I am not in a position to tell you what to do in your life, but let me tell it anyway, stop saving money to travel the world for a year or two, especially if you will only end up exploiting people. Please, travel only if you can really afford it. I remember El Nido without a lot of touring boats some years ago, I’m sure you can agree that it was more pristine back in the day. And of course, I’m sure you know that if there’s demand then there’s supply. I read a blog blaming the locals for the destruction of nature as if the author does not have anything to do with it too. Everyone is equally responsible and nobody is better than the rest. El Nido’s island-hopping tours are turning into packaged products, thanks to the influx of cheap backpackers. And no, you are not helping the economy, it’s time to get over that idea. You just cheapen Palawan’s nature, contribute to the price increase of goods, and drive the residents out. In the end, the locals have to speak against these unsustainable travelers one way or another. Whenever I hear yet another ‘oh the people in South East Asia’ are so nice, it makes me cringe. Nothing wrong with being nice though. However, sometimes, being nice also equates to being easily taken advantage of or exploited. Cheap travelers arrive in Palawan and when they are not treated like special beings as they expect, they go whine like babies. Yet, when the locals travel to their countries, I’m sure that they won’t be treated nicely or even feel welcomed. Cheap backpacking only perpetuates this culturally-conditioned kind of entitlement. It is tiring to travel around with such an inflated sense of ego, thinking you are special than the rest. The ‘holier than thou’ attitude of these cheapskate travelers has to end.